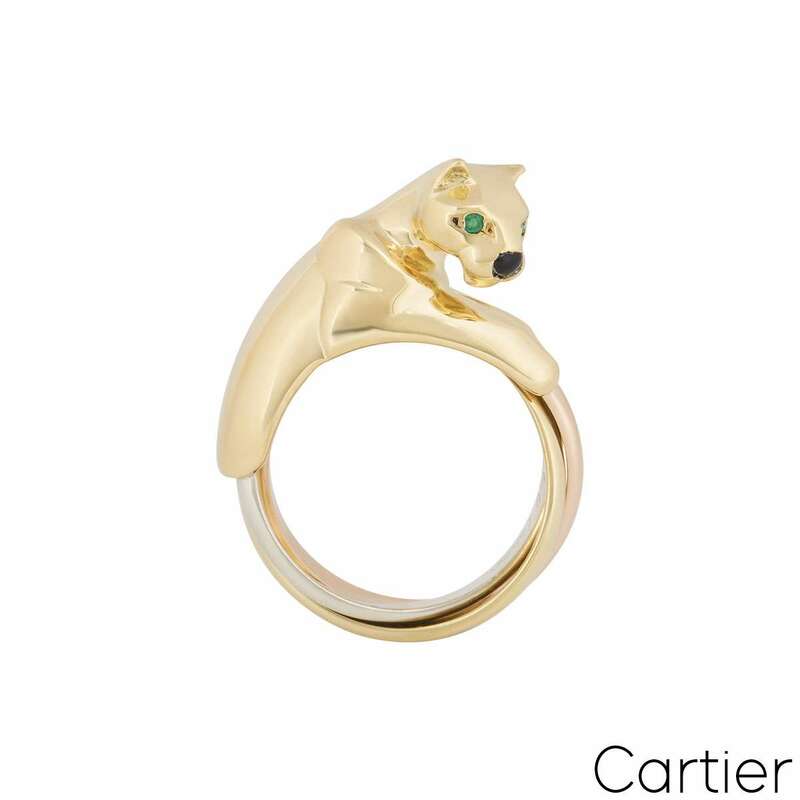 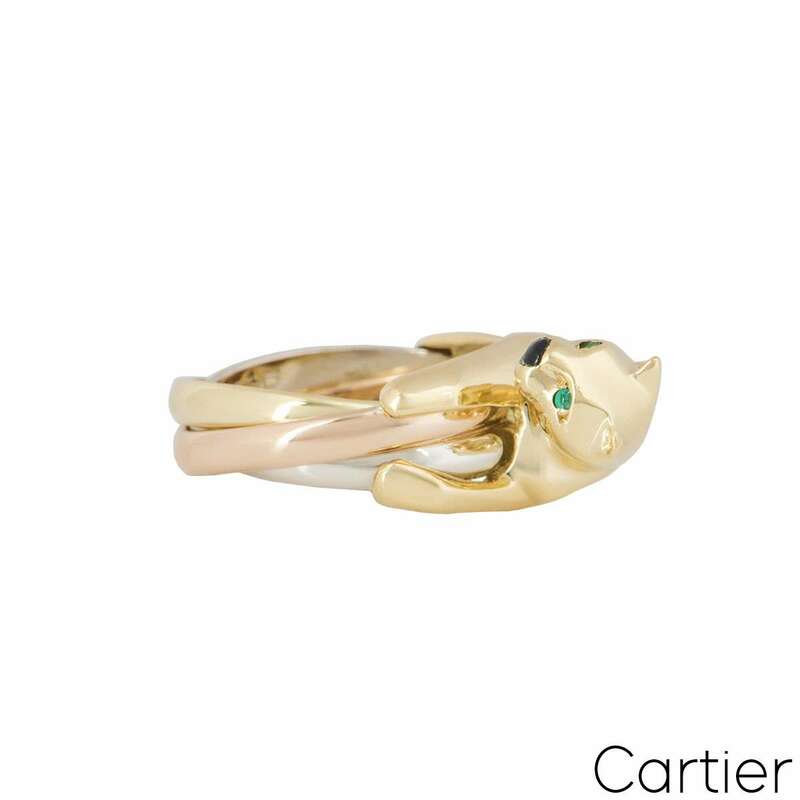 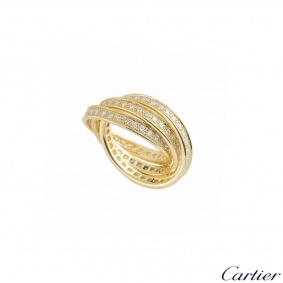 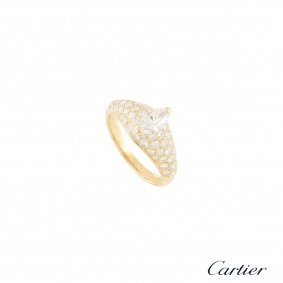 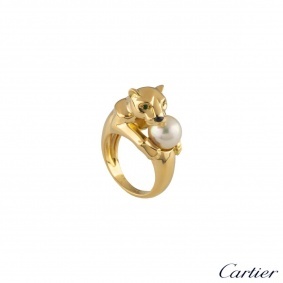 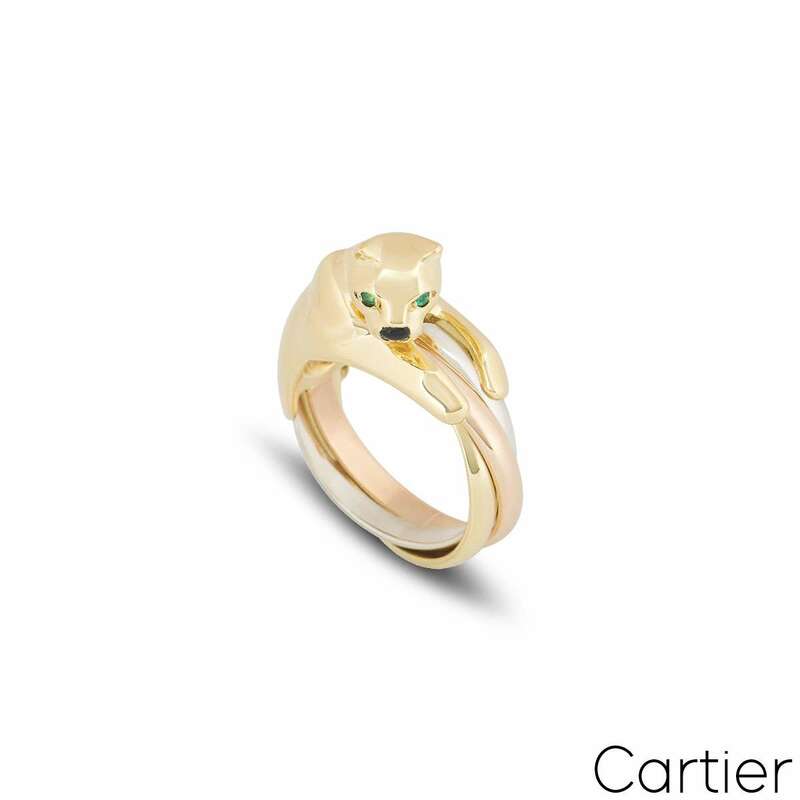 A beautiful 18k tri-colour gold panthere ring by Cartier from the Panthere collection. 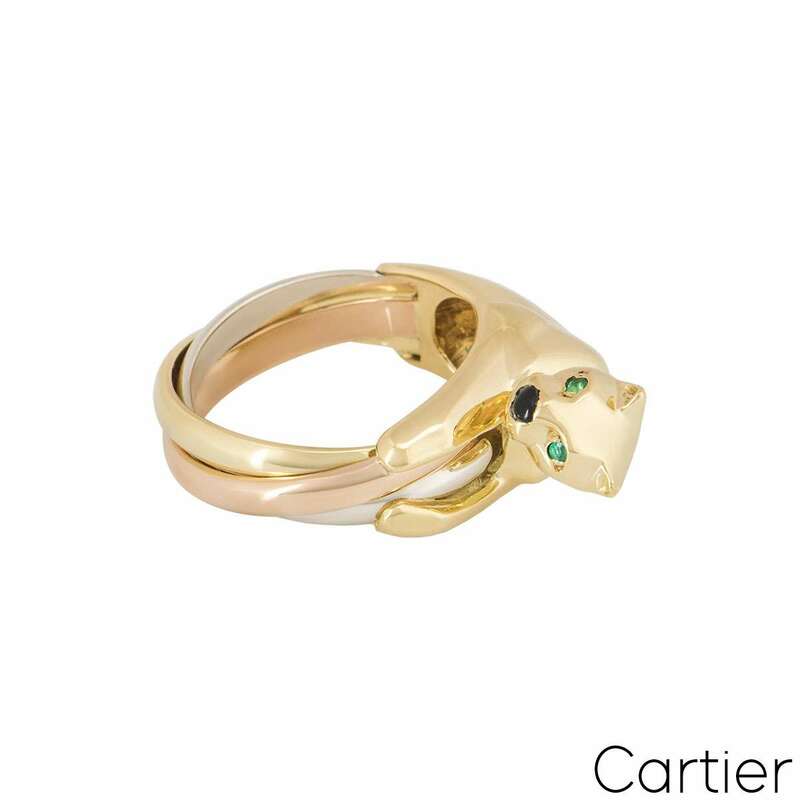 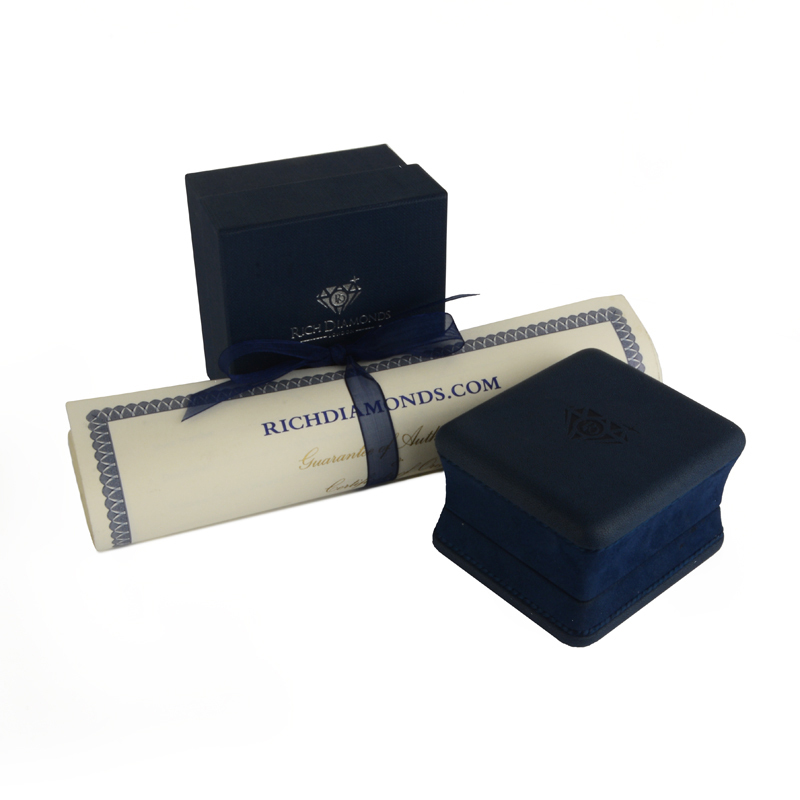 The ring is composed of a panthere head motif and is complemented with two round emeralds set as the eyes and onyx for the nose with the Trinity style body wrapping around to complete the ring. 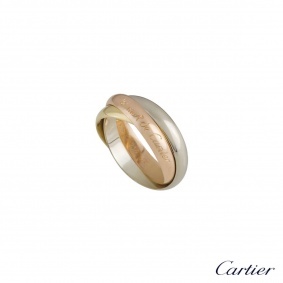 The band tapers down to 4mm and is currently size J, with a gross weight of 11.10 grams.